What might your Smile Makeover Involve? So what really is a smile makeover? If you want to improve your look because you feel self conscious then there are many different ways you can get help. Many patients come to us asking for a ‘smile makeover’ or ‘smile design’ and this excites us because it’s giving us a blank page on which to create something truly beautiful, transformative and life-changing for our patients. 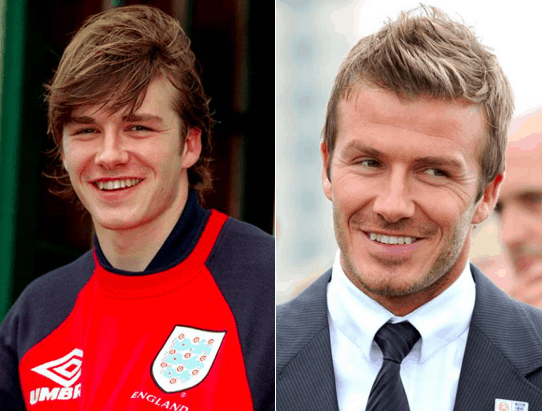 But there’s a worrying trend in Liverpool caused by the media, footballers, celebrities and the wealthy who have coined the term smile makeover to mean results that – on our opinion – often look ridiculous. Also all the media coverage has made many think there’s this magical dental procedure that costs a certain amount of money and you just walk in feeling self conscious and walk out looking like a movie star. But It’s a little more complicated than that and in this article we”re going to show you why. More importantly we’re gong to show you how you can get the look you want for much less money than you think. Today we are here to give you unbiased facts about how to improve the way you look and feel with cosmetic dentistry in the safest and most non-invasive way possible. This basically means that you can keep the healthy teeth you have and will be less at risk from failed treatments and a lifetime of having to go back to the dentist time and time again. This is a very real possibility if you do not choose wisely. Remember Jordan getting her teeth done in Turkey? That poor woman is still shelling out thousands – possibly hundreds of thousands getting them fixed. The Daily Mail actually asked our dentist MJ Rowland-Warmann to provide comment on her position. You can read that here. So you can trust that we know what we’re talking about and have your best interests at heart. We also want to warn you that makeovers and invasive dentistry can often be bad for your oral health. We’d much rather practice minimally invasive dentistry, that has respect for the healthy tissue and teeth in your mouth. Your dental health at is our primary concern and just like most of your body, if it’s healthy, it usually looks nice too. But there are certain things you need to be aware of before choosing certain procedures – especially if you are younger or have undiagnosed dental health problems like gum disease. That said, we have the team, time and talent to achieve pretty much anything. Your Smile is very personal to you and many people don’t understand how much it can affect the way you feel about yourself. But if you visit to a good private dentist you’ll be surrounded by people who not only want to listen to your concerns and understand how you feel about your smile but also have helped hundreds of people with problems that are similar to yours. But no two people are the same so it’s very important we get to know you so we can best assess your needs, what you want and what is possible for you. But in a nutshell science has proven that a better smile makes others think you’re younger, healthier, fitter, wealthier, more confident, more likely to have a good job, outgoing, happy and confident. And that’s just the beginning. We’ve heard some reports from our patients of how their new smiles have changed their lives in a multitude of ways that are personal to them and too numerous to mention. Many people are frightened of the dentist – especially if they think a lot of work needs doing. This can be because you’re embarrassed or you’re worried what we might say or what other people might think of you. Some people are worried about the cost or whether it might hurt. Also some have had a bad experience at the dentist and are worried that this might be repeated. These are all very normal and healthy fears – and our aim is to simply improve the way you feel about yourself and help you enjoy life to the fullest. Everybody (including us) wants to feel good and it’s our job to make you feel good and also to keep you safe. We’re also great at helping you enjoy your time with us. Read our reviews if you don’t believe us And watch this short 30 s video with some of our favourite reviews from patients in the last year or so to reassure you that we are not going to frighten or harm you but care for you as if you were a member of our own family. It’s not just about your looks though – it’s about your health – and this is why we’re writing today. Let’s get over the TV and celebrity obsession with self-image for a moment and consider your dental health. Sometimes just improving the health of your smile can make you feel like a million dollars and it costs a fraction of what these ‘celebrity smile makeovers’ cost that you see on television and often lead to future disasters, loads more treatment and massive bills. There are tons of reasons you might have problems with your smile. Here are just a few of them and we’ve highlighted where you can get specific information about that particular part of dentistry on our website. Some treatments are less invasive and require much less work than others. Some are more time consuming, need more planning and are more invasive or risky. These will typically cost more. For our comprehensive and itemised prices you can see our price list here: Dental Prices. Or just go to the page your interested in and they have more detailed prices on them. A major reason for wanting a smile reconstruction is if you are worried about gaps and missing teeth. 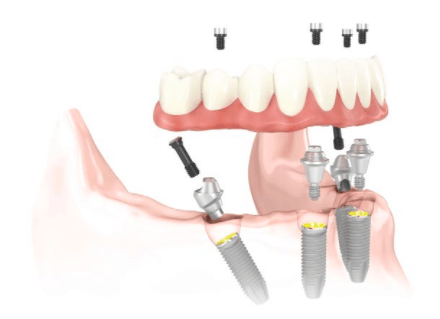 Take a look at our implants page here: Missing teeth for all the information on how to get your old teeth back. You’ll also find information about bridges and implant retained dentures here too. Don’t worry, press the link and it’ll open in the background and you can keep reading this article. Yelllow teeth or staining is a very common problem and whitening is one of the most simple and effective ways of improving your smile. 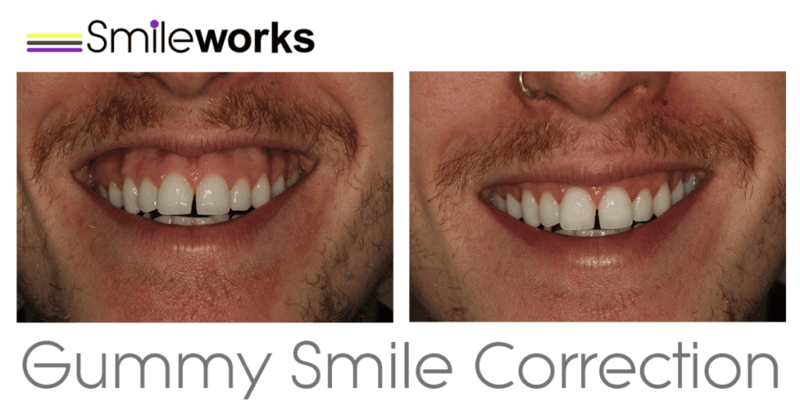 Many people who’ve come in for whitening will feel like they’ve had a full smile makeover! You’d be so surprised at how a few shades can make all the difference and our products give a beautiful, luminescent, bright result that will make you look and feel wonderful. 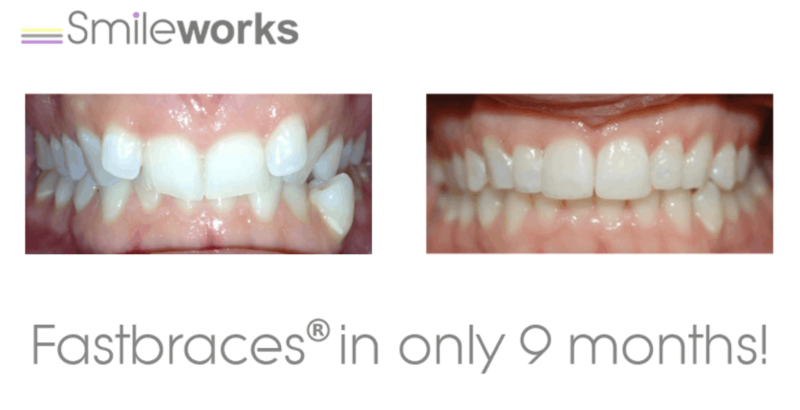 To see just how inexpensive whitening can be follow the link here to our Smileworks teeth whitening deals Liverpool page. Again, it’ll open in the background. Also take a look at Our David. He’s often cited as having had a smile makeover but it looks like simple teeth whitening to us. It’s well known that David doesn’t like messing too much with his looks and he’s a great example of someone who’s had a great result with a minimally invasive treatment. But we’ve not asked him and don’t know. We’re just guessing. But look at the shape of the teeth. They re pretty much the same. Just whiter. And don’t they look great. Having a gummy smile, showing too much gum or having what dentists call a ‘high smile line’ is a problem that many patients face and often forms part of a smile design consultation. The smile line is where the lips cover the gum and simple procedures like Botox® can fix this problem by lowering the lip. To read more about this interesting aesthetic procedure take a look at our Botox page, specifically gummy smile treatment or more complex procedures such as gum re-contouring, crown lengthening or a ‘gingival lift’ can help your smile look perfect for much less than a mouth full of Veneers. Would you believe this result was achieved with just a bit of Botox® and cost £200 for 1 area? A simple but extremely effective treatment. If you’re thinking of going abroad for treatment then take a look at the link here all about cheap smile makeovers abroad. Poorly fitting dentures are a very common problem for patients who have lost a few teeth and wear full or partial dentures. Also people who’ve had accidents or lost their teeth through illness may have full or partial dentures and a smile makeover can mean anything from a brand new set to the ‘Rolls Royce of Dental Treatments’ the Nobel Biocare All on Four Treatment. This is an aesthetic, health and functional smile makeover and can change our patients lives by allowing them to enjoy foods and eat the meals they like again without the fear, worry or pain of bad dentures. To read more about dentures follow the link to dentures Liverpool. Or to read about Implant retained dentures take a look at our All on 4 page. Amalgam or metal fillings can look dark and show up when you laugh, eat or open your mouth wide – like when you yawn. Some people like to replace these with white fillings for a more aesthetic appearance. 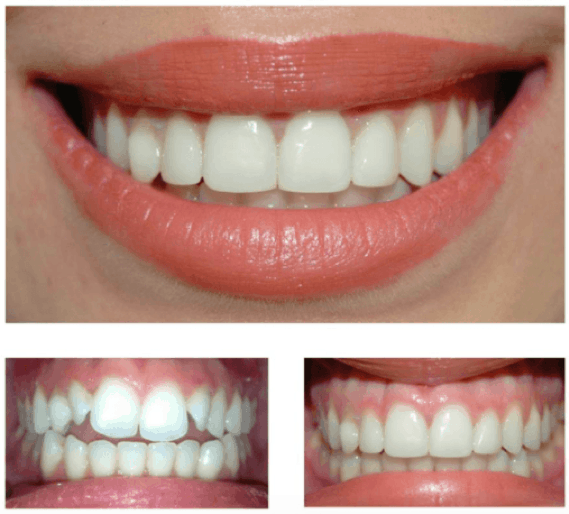 Treatments like this commonly form part of a smile makeover plan and the results we can achieve by layering on translucent, durable and beautiful materials is outstanding. In fact smile makeovers often involve replacing old dental work that is failing because of time or has not been looked after too well or sometimes traumatised. Some work has also not been planned with the sort of diligence and precision that dentists will use in 2018 and can be failing or not looking its best. And sometimes things just break. That’s life. But we can always make it right for you. The same goes for cracked and broken teeth that can often be replaced with restorations that we’ll talk about now. Porcelain veneers are what most people imagine when they consider a smile makeover. But here at Smileworks we are conscious of the health of our patients first and foremost. Dentists – just like doctors – take an oath not to harm their patients and in our opinion, fitting 20 veneers to an individual with poorly maintained teeth or someone in their 30’s is sometimes not in your best interests and our team will sensitively and appropriately advise you of this. Ands they will often give you a whole host of other options that might be better for you in the long term. Teeth are living organs of the body and if you damage their outer layers this can have serious implications for the future. Sure you’ll have beautiful (usually very white) new veneers but did you know they will last a maximum of 10-20 years even if you look after them very well. You could need root canal treatment or for them to be replaced much sooner and it’s just a very invasive treatment to be carrying out on younger patients. We believe there are better ways. But like everything those ways require patience (like braces and orthodontics) or for you to get your gum disease under control which can mean visiting the dentist every three months for years. People want everything right now and we get that. But if you come to us with healthy teeth and expect us to file them to pegs and place veneers then we are going to be unlikely to want to help you because it’s potentially going to cause more harm than good. If you are in your 30’s and have a full set of veneers, the total cost over your lifetime could run into hundreds of thousands of pounds of dental treatment and literally dozens and dozens of visits to the dentist often involving root canals and restoring failing work. Is this really what you want? Do you trust that your dentist has your best interests at heart or does he or she just want to be working on your teeth for your entire lifetime and taking your money? Here’s some great alternatives. 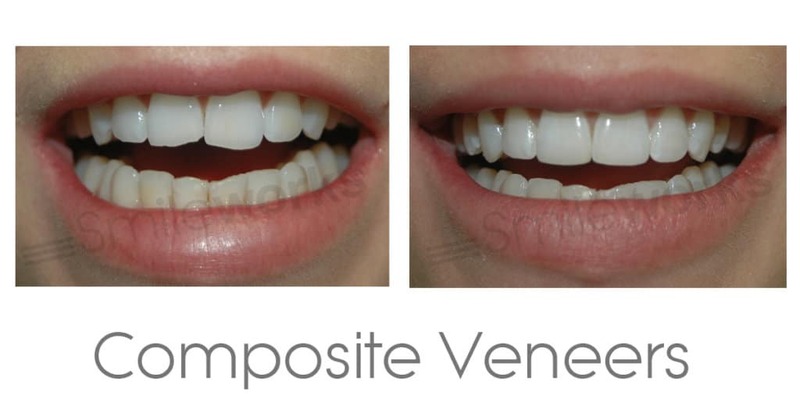 Composite veneers don’t require filing or drilling the teeth and the composite resin (a mixture of very tough plastic and a glass-like paste) that is sculpted painstakingly onto the teeth by your dentist. 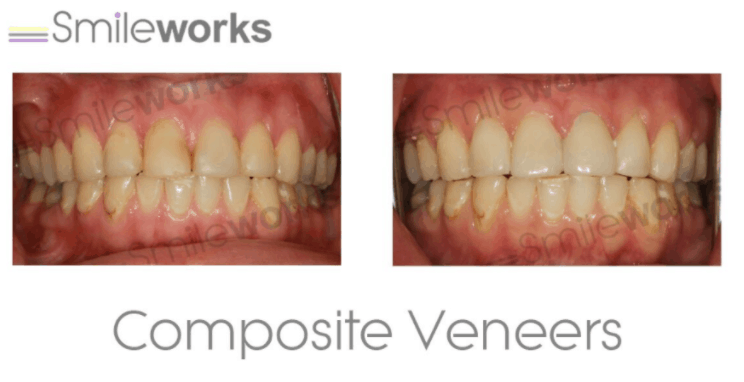 Placing composite veneers is much cheaper than traditional porcelain because no lab work is required. So there’s no middle man taking a cut of your budget. But composite veneers are difficult to get right and you need a true master dentist. This is another reason that many smile makeover dentists will opt for porcelain – because they don’t need to do most of the work, the lab does it. You need to be a restorative dentist of supreme talent (like our very own Dr Billy Arshad) to create them for you and make them look translucent, natural and beautiful. Many more ‘traditional’ dentists don’t possess these unique and modern skills and this is why they are happy to just place a load of porcelain veneers and have the ceramist at the lab create the veneers for him. All he or she has to do is prep the teeth (sometimes damaging them) and then fix the veneers on. To see how complicated and risky tooth preparation can be, take a look at this article in the highly regarded publication nature. 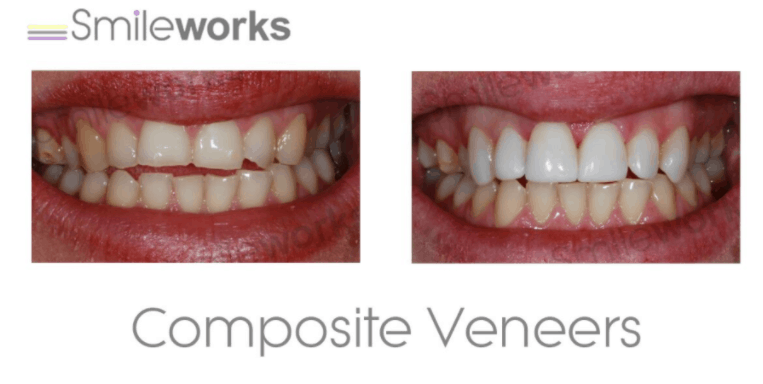 Composite veneers are often a much better option for younger patients but they are not necessarily ‘better’ in every way. If you are an older patient and have damaged teeth or have already had work done then we will typically use porcelain veneers because it’s better for you. And at the end of the day we’re here to make your life better. But be wary of dentists who just do smile makeovers with porcelain veneers. To a hammer – as they say – everything is a nail. Composite veneers and composite bonding can fix chips, cracks and create the most beautiful smile makeovers without damaging the underlying tooth structures. So no root canals, no drills and no £100,000 lifetime bill. In fact a composite veneer smile makeover can cost as little as £5,000 and when you pay on finance that’s not very much if you pay over months with interest free credit. This case would have just cost a few hundred pounds. People don’t usually associate a ‘smile makeover’ with braces but orthodontics are a safe and less expensive way of getting a perfect smile. If you have crooked or overlapping teeth you don’t need veneers you need braces! Perhaps something as simple as an Inman Aligner, clear braces or you can see Dr Laurence, our Specialist orthodontist for Invisalign® or traditional braces. You’d be surprised at how inexpensive braces can be and you can read about the the Invisalign® cost here. Braces treatment doesn’t take years in 2018 either. You can get beautiful results in just a few months with a variety of treatments offered by our specialist orthodontist and general dentists who do short term orthodontics (braces that general dentists are allowed to do on certain people) We see so many cases where patients have had 9 months of braces and free whitening and perhaps some composite bonding to get a much better result than the dreadfully invasive veneers that cost a fortune and cause untold future problems for patients. Amazing, amazing, amazing !! I actually look forward to going the dentist!!! I have been going to Smileworks for almost 2 years now. I initially went for a consultation on Fastbraces (on the recommendation of a friend). I was seen by MJ and she was so friendly, made me feel comfortable instantly and explained everything to me in ways I could understand (as I am not the whitest tooth in the mouth… haha…!). I had the brace for around 7 months and I absolutely loved it (I actually miss it now). I thought I would hate wearing it, but MJ and Charlene made it so fun picking different coloured bands, like red & green at Christmas (we even tried to get glitter and glow in the dark ones), that it didn’t make me feel self conscious or hide, in fact it became a great talking point, everyone was always asking about my brace! I also thought it would be really painful as I was only wearing it for a short amount of time and my teeth moved a lot but it really didn’t! The reason I wanted a brace was because I was getting married and wanted the perfect smile. My teeth were never that terrible, they were just really, really small and a bit wonky and uneven. After the brace was removed, there was a massive difference already! I could not believe I had waited so long to get them done, I wish I would have done it sooner. MJ even made all my teeny, tiny teeth bigger and the same size by using composite – this is something I had never heard of before, but it worked perfectly, and is a great alternative to something more permanent like a veneer! I love everyone at Smileworks so much, they have become my friends and I look forward to every visit! I even made my sister go there (she had a small gap in between teeth and dentists she had been to were quoting loads of money for a tooth implant) and MJ fixed it with composite and it looks perfect! I even dragged my mum there! She has always hated her teeth, but never done nothing about it. She used to be a smoker and had all kinds of caps and fillings, but she was always too nervous and self conscious to go and get anything done. I even had to pay the deposit for her appointment so she wouldn’t let me down! She had a consultation with Ioannis, MJ and Kerry and they made her feel so, so comfortable. They explained what her options were and sorted out a treatment plan for her. She has now got her temporary bridge in and its made her a new person! She is always smiling and its completely changed her face (and its not even finished yet!!). They are not just amazing at teeth – I have had some fabulous aesthetic treatments there and they have always made me look exactly how I wanted, as well as making you feel safe and well informed of the procedure options. I couldn’t thank everyone at Smileworks enough, MJ, Kerry, Charlene, Ed and all the reception girls! You have changed my life and you are never getting rid of me hahahaha! Some people feel self conscious about their breath. They think it’s what they eat or coffee or smoking but often it’s gum disease or periodontal disease that’s causing the bad smells. Or even failing of slightly dodgy work that’s previously been done by other practices. Frequent visits to the hygienist or dental hygiene therapist can improve your oral health and make you feel more confident to smile and get close to people. Also many of the above treatments require healthy teeth and gums before we can start treatment so rather than trying to cover up health problems with aesthetic solutions at Smileworks we will typically fix your oral health before commencing many of the above treatments. Our multi-disciplinary team can work with you closely to solve all these problems and every single dental health practitioner in our office – whether a specialist, general dentist, dental hygiene therapist or dental nurse can help with one or more of the treatments you might need to improve your smile. Here at Smileworks we have a multi-disciplinary team of specialists, general dentists and oral hygiene therapists who can help you decide what is the best treatment option for you to give you the best long term outcome not only for your esthetics but also for your health. 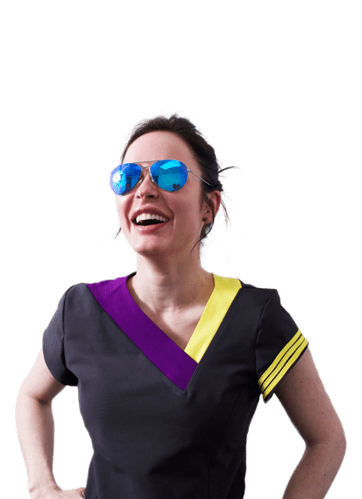 There are no other dental practices in Liverpool with the breadth of expertise and this is the reason that your smile makeover will be what you want and not a one size fits all – potentially harmful – outcome. I hope by reading the above you now understand that a smile makeover is whatever you want it to be. And we cannot stress this enough – the process starts with you. It is an extremely personal journey and can be anything from a subtle change to a total reinvention of the way you look. Smile design is simply having a detailed discussion with your dentist or specialist and discovering precisely what you want to achieve using technology and our mastery of modern dentistry. But mostly it involves listening and understanding what you want. Then it’s a matter of planning the result using our talents and processes. The best dental tool in the world is the 100 billion neurons sitting inside your dentists’ head and his or her hands that will create the beautiful work that will last you a lifetime and make you feel like you’re at the absolute centre of the world. We typically take into consideration your underlying dental health, facial shape or dimensions. Also the tooth shape and contours, shade, luminosity, tooth proportions, smile line, crown length and factors such as how wide your dental arch is or how many teeth show when you smile. Even the way you wear your hair and the shape and volume of your lips can be taken into consideration by our team who want the very best for you and have seen enough patients to be able to advise you on how to create the most aesthetically pleasing outcome. 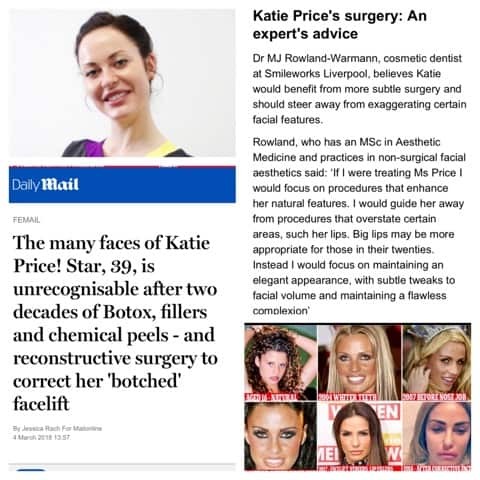 Some patients also get seen by our facial aesthetician Dr MJ Rowland-Warmann for an aesthetics consultation if they wish for a more holistic improvement to their entire face. For example is it better to use lasers and composite for lengthening crowns to lower a smile line or just a few units of Botox? Having lots of disciplines all focused on you and discussing your case makes things much safer and gives you much better outcomes. It amuses me that practices market their fancy ‘digital dentistry’. Everything in 2018 is digital from your phone to your Fitbit® and even your fridge! There would be a big problem if we were not using digital technology to get you the results you need and everything from our beautiful imaging software to our CBCT scanner ensures we can carry out your treatment in the safest and most precise ways using cutting edge technology. We love technology at Smileworks from the iPads you sign in with to the giant Mac computers in each room, the microscopes for conducting safer endodontic treatments and even intra-oral cameras that can show you your mouth on the big screen to give you a better understanding of your dentsl health and what needs doing. So anything from dental imaging software to our state-of-the-art digital systems and even study models and mock-ups are there to help our dentists. But be wary of dentist who overly rely on technology or use that as a way to sell you dentistry that you possibly don’t need. No dental machine will ever be able to even come close to the talent, experience and care with which our team will look after you. All of the different costs for the procedures discussed you can find on their individual pages by following the links above. It’s not a case of adding it all up but you must just come in for a consultation and speck to someone about the cost. We often say having a smile makeover is like buying a new car. The patient always says, ‘what type of car’? And that’s the answer. You can have a Ferarri® makeover or a Ford® makeover. One is no expense spared and the other is going to last you a good amount of time, look great and make your life better. But the cost is really up to you, not us. So it would be silly for me to say it’s going to cost £15,000 and then it ends up only costing £3,000. Or how would you feel if we said you could get a smile makeover for £5,000 and it ended up costing £20,000? This is why it’s impossible to give prices. For a more detailed discussion of veneer prices then follow the link. This article also explains the need for a consultations and why prices are difficult to give up front. Also your underlying dentition is important. Do you ring up your garage and say, ‘my car broke down – how much to get it running again? Of course you don’t – the mechanic needs to see the car and find out all the areas where repairs or replacements are needed. So call us to arrange a consultation and take advantage of our hugely talented team who all have their own special part of the process that they will concentrate on to get you the best result. Come to Smileworks and you will feel like the centre of the universe – because to us, that’s just what you are. That’s just what all our patients are.